By tradition, only universities can award doctorates in Germany. However, cooperative arrangements with educational and research institutions or companies can open up other paths to that qualification. These avenues are open to doctoral candidates at the Technical University of Munich (TUM). A conference taking place at TUM on September 6/7 will discuss the related opportunities and challenges. The task of supervising doctoral dissertations and granting doctorates is performed in Germany by universities and institutions with equivalent status. “This is the right way to do things, and it is important for ensuring the quality of doctorates,” says Prof. Hans-Joachim Bungartz. Along with his role as a professor of scientific computing at TUM, Prof. Bungartz serves as the director of the TUM Graduate School. Since 2009, the school has been responsible for structuring doctoral programs, ensuring consistent standards throughout TUM, and supporting doctoral candidates in other ways. Other cooperation partners for doctorates at TUM include: pure research institutions such as the Max Planck Institutes and Helmholtz Centers, universities of applied sciences such as Hochschule München (HM), and partners in the private sector. 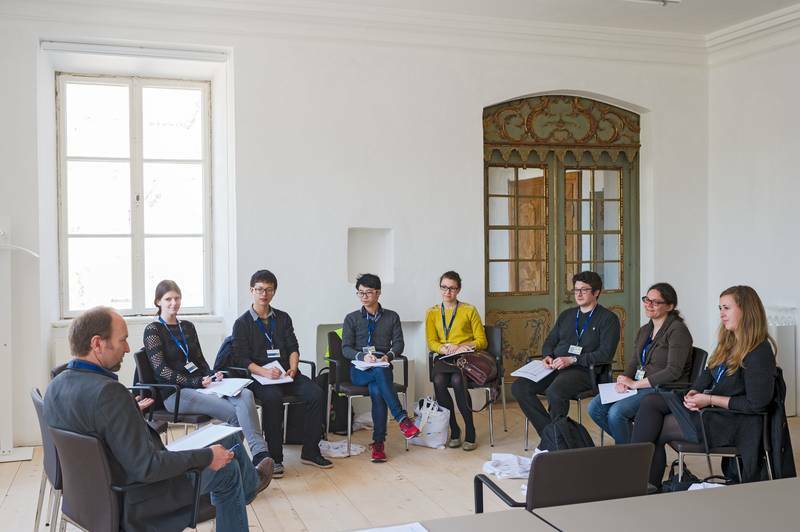 "Cooperative arrangements of this kind are important because they create other attractive opportunities for young scientists," says Hans-Joachim Bungartz. TUM and HM established uniform guidelines for joint doctorates in 2016 under an agreement based on the model of the Bavarian Science Forum (BayWISS). Candidates in the joint doctoral program are supervised by professors from the two institutions working in tandem. 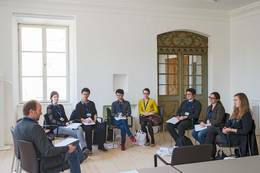 “Through the involvement of the TUM Graduate School and the additional support it provides, talented young scientists whose special interests are a better fit for Hochschule München receive optimal support in their doctoral studies,” says Bungartz. There are plenty of examples showing that this type of cooperation can produce outstanding dissertations. For example, Michael Seitz, who earned his doctorate under the cooperative arrangement between TUM and HM, was awarded the Joseph Ströbl Prize for Traffic Safety for his dissertation, in which he simulated pedestrian traffic flows. Cooperative relationships with partners in industry are also quite common among doctoral students at TUM. “For us, the key is to have rules and quality standards in place to ensure that science will benefit when doctorates are awarded for research done in companies, and that everyone is integrated into TUM's structures. For example, thesis topics must generally be set by the university's supervisors,” says Prof. Bungartz. “In that way we avoid what we call 'cuckoo's egg' doctorates, where the university's good name is tied to a project with dubious value as a doctoral thesis, in what amounts to a de facto outsourcing of a company's R&D.” In 2016, under the heading ProMUC, TUM formed a working group with other institutions of higher learning, research bodies and companies to draw up guidelines for cooperative doctorates. Since the TUM Graduate School (TUM-GS) was founded in 2009, TUM has been a member of the German University Association of Advanced Graduate Training (UniWiND/GUAT). UniWiND is a network of 67 universities at present with the shared goal of promoting doctoral studies across all fields.